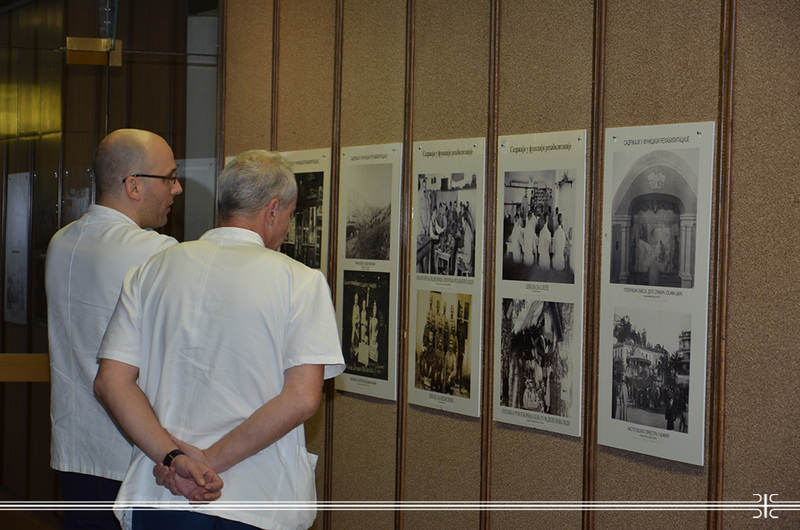 The exhibition entitled "Serbia remembers the allied Bizerte" by the author retired Lt. Colonel Luka Nikolic was opened in the Military Medical Academy’s Amphitheatre marking the 99th anniversary of the offloading of the first Serbian military contingent of the Serbian Military at Bizerte. Luka Nikolic, a descendant of Djunisija Nikolic, a soldier of the 4th regiment of the Serbian Military, buried at the military cemetery in Tunisia in 1916, organized the exhibit encompassing 87 photographs placed in 12 historical entities. His intention was to remind about the important role of the peoples of North Africa in the recovery of the Serbian Military in WWI. The fact that could best describe the horrors and sufferings of the medical officers together with their people in the Great War is that not one medical lieutenant survived that armed conflict, stated the Acting Head of MMA, Colonel Prof. Dr. Zoran Segrt. As he pointed out, 41 000 wounded members of the Serbian Military had found their sanctuary in Bizerte and out of that number 36 000 of them had been fully or partially cured. On this occasion, the documentary film "Bizerte - return to the legend" by Tatjana Fero was presented revealing the unselfish assistance of the people from Tunisia, Algeria and Morocco who significantly contributed to the faster recovery of the exhausted Serbian soldiers within 36 hospitals and hospital detention centers. As it was stated, the preserved memorials and monuments in North Africa on 24 cemeteries in Tunisia, Algeria and Morocco testify about the Serbian soldiers staying there.